Heading for a night out at your local pokies lounge? You might want to consider more than just making sure you’re wearing your lucky underwear. We’ve compiled a checklist of things to keep in mind before you head out to play the pokies at your nearest club or pub. Your favourite pair of trackies and thongs may be your most comfortable outfit, but don’t think you’ll get away with attire that casual, even if you’re playing pokies at the most informal pub. While pub and club dress codes aren’t as strict as casinos, all pokies lounges enforce some kind of dress code, whether it’s heavily policed or not, so you should always make sure your outfit is up to scratch before heading out. Typical pub dress codes require neat, casual dress at all times, with certain restrictions placed on hats, exposed tattoos, tradie work wear and singlets, depending on the venue. If you’re not sure, give the venue a quick call before you head out to avoid any embarrassment or inconvenience upon arrival. It always pays to head to the pokies lounge armed with the amount of cash you intend to play. Being pre-prepared with cash offers two benefits. First and foremost, it encourages responsible gambling practices (if you’re having trouble with how much you gamble, check out our resources for quitting pokies). If you only take the amount of money you can afford to lose, you know it’s time to call it a day once you’re out of cash. Secondly, having cash on you means you avoid the dodgy ATM fees that usually apply to pub ATMs, or worse, playing somewhere that doesn’t have an ATM at all. 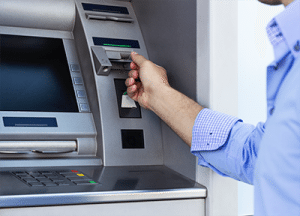 Many countries impose laws regarding how much can be withdrawn from an ATM at any one time. For example, under Australian law, ATMs allowing daily limits of $400 were pulled from pokies venues in 2012 (although many venues allow for high EFTPOS withdrawals) so you can save yourself the hassle by coming armed with cash. Unless you live within walking distance of your local pub or club, a night out at the pokies lounge will require some foresight into how you intend to get to and from the venue. Is public transport available? Is there adequate parking nearby? Knowing these things will save you money on expensive parking fees or taxi fares. If you do intend to have a few beers, take the necessary precautions to make sure you don’t end up drinking and driving. Consider leaving the car at home, or if you’re heading out with mates, assign a designated driver for the night. 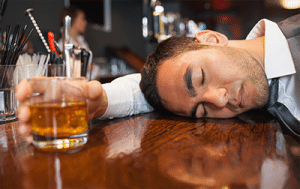 While it’s part of Aussie culture to sink a few frosty ones at the pub, one of the riskiest moves a punter can make is getting inebriated while gambling. Having a few too many beers while playing the pokies severely lowers your risk assessment and decision making abilities, increasing your chances of betting more money than you can afford to lose. Before heading out to play the pokies, know your limits when it comes to drinking and limit your alcohol consumption while playing. Most pokies lounges also offer tea, coffee, water and biscuits, which are free for punters, so your safest bet is to avoid booze entirely. Your wallet and your body will thank you for it. Playing in a pokies lounge requires you to exercise certain etiquette, ensuring your gameplay doesn’t have a negative effect on other punters and that you play within the guidelines of the establishment. Despite the loud noises and flashy lights of the pokie machines, many players come here to relax and enjoy a few spins in a social environment, and the last thing they need is an obnoxiously loud or drunk person to ruin that for them. Keep your disappointments over any losses to yourself, while being subtly gracious about any big wins. Resist the temptations to swear at machines or worse still, shout insults at other players who are on a winning streak. Basically, exercise common courtesy and manners in a pokie lounge just like you would anywhere else. 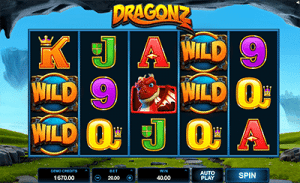 If all of this sounds like too much hassle, why not consider playing pokies online instead? Online casinos have come in leaps and bounds over recent years, with many legally licensed off-shore casinos offering a safe and vibrant place to play hundreds of different pokies for real money. Games are on offer from some of the best software developers in the business, including NetEnt, Microgaming, BetSoft, Quickspin, Play’n Go and many more, offering almost every theme imaginable. Online pokies not only offer more lenient betting options, advanced bonus features and a higher level of player engagement – they also provide the chance to win real money without having to leave the comfort of home. No dress codes, no parking restrictions and no ATM fees, just pure entertainment and winning potential. Best of all our recommended pokies sites offer some incredible welcome bonuses for new players, something your local pub would never dream of doing. To make the move to play online, we recommend checking out Raging Bull Casino, our top-rated casino site for players from United States, which has some excellent welcome bonuses available for new players along with hundreds of slot games that you can try for free in practice mode before committing to any real money bets.